Combine the olive oil, Savory Sizzle, and 2 tablespoons fresh lemon juice (about half a lemon) in a small plate. Brush the fish with the oil, spice, and lemon mixture and gently sprinkle with sea salt and pepper to taste. 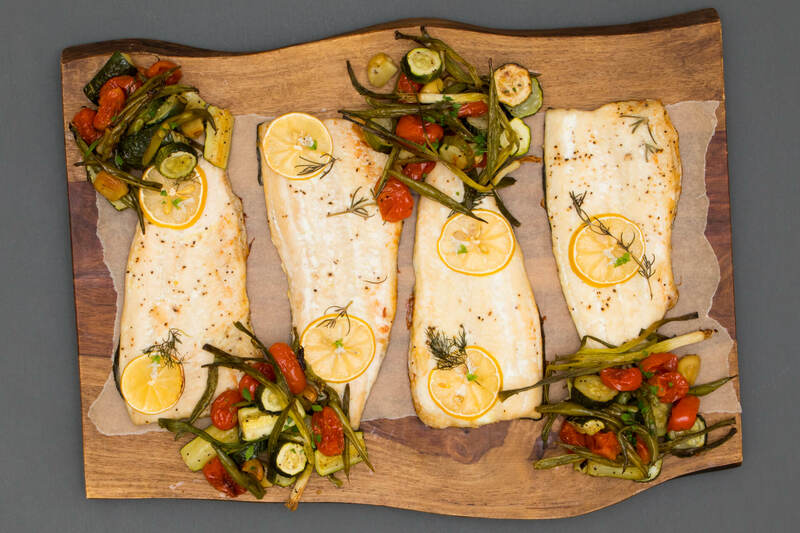 Place the fish, skin side down, on a parchment paper lined baking sheet and broil for 5 to 7 minutes, until flaky and cooked through. Plate the fish and squeeze more lemon juice on top.